About This HardwareExperience a new level of precise control for your favorite games. 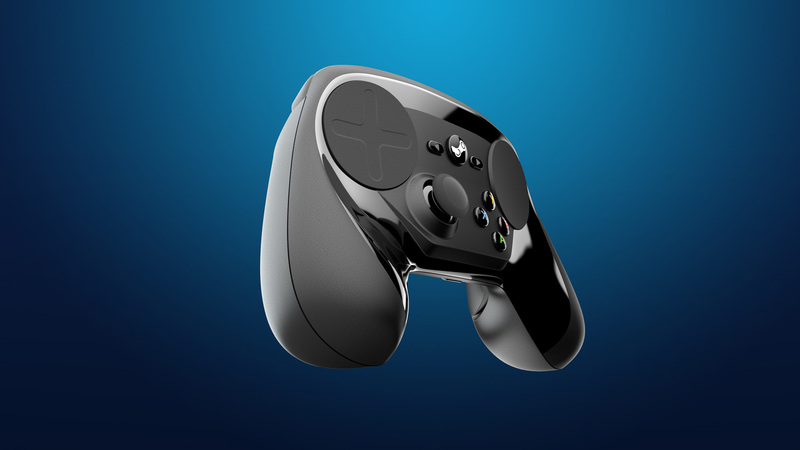 The Steam Controller lets you play your entire collection of Steam games on your TV—even the ones designed without controller support in mind. 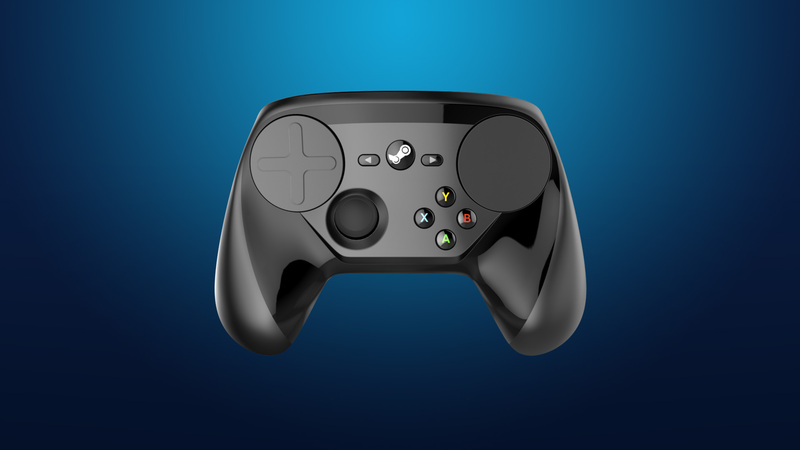 The Steam Controller features dual trackpads, HD haptic feedback, dual-stage triggers, back grip buttons, and fully-customizable control schemes. Find your favorite mappings in the Steam Community, or create and share your own. A different kind of gamepadWe’ve improved upon the resolution and fidelity of input that’s possible with traditional gamepads. 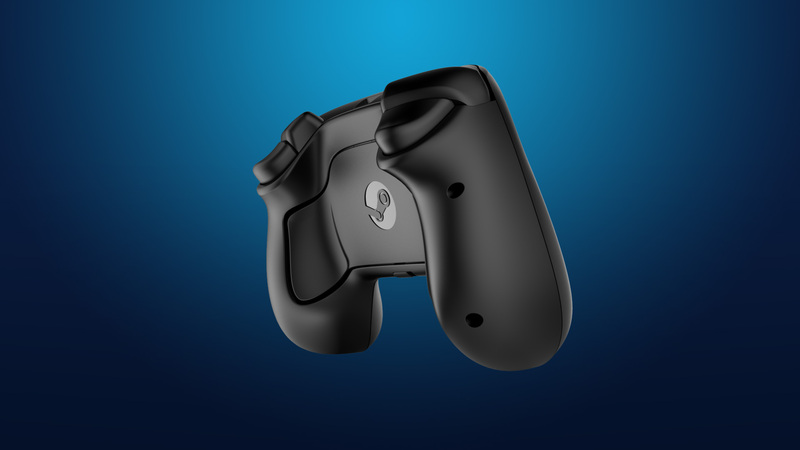 Built with high-precision input technologies and focused on low-latency, wireless performance, the Steam controller enables you to experience your games in powerful new ways. 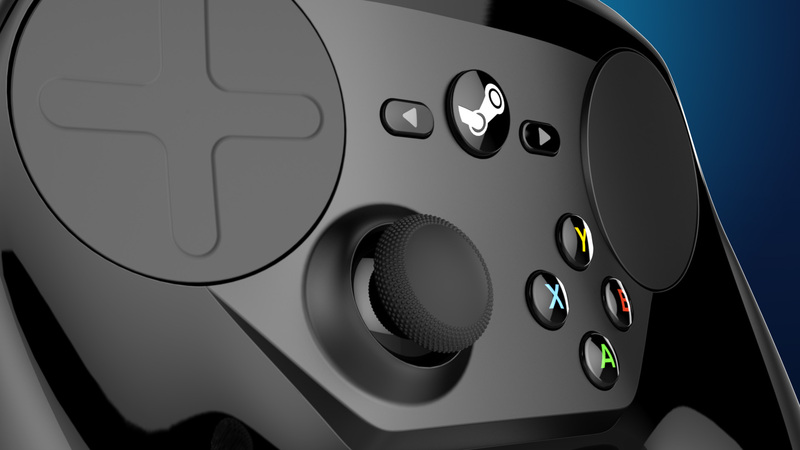 Dual trackpadsThe Steam Controller‘s dual trackpads enable the high-fidelity input required for precise PC gaming in the living room. Allowing for 1:1 absolute position input via virtual controls like a trackball, adaptive centering joystick, or steering wheel, these surfaces can be programmed to serve up whatever a game needs. HD hapticsHaptic force actuators on both sides of the controller deliver precise, high fidelity vibrations measured in microseconds. Feel the spin of a virtual trackball, the click of a scroll wheel, or the shot of a rifle. Every input, from the triggers to the trackpads, can offer haptic feedback to your fingertips, delivering vital, high-bandwidth, tactile feedback about speed, boundaries, thresholds, textures, or actions. Dual-stage triggersWith a satisfying digital click at the end of the trigger pull, dual-stage triggers can be used as analog, digital, or both types of input at the same time. Put your iron-sights on the sweep-in, and then fire with the reliable feel of a tactile switch, all on the same trigger. 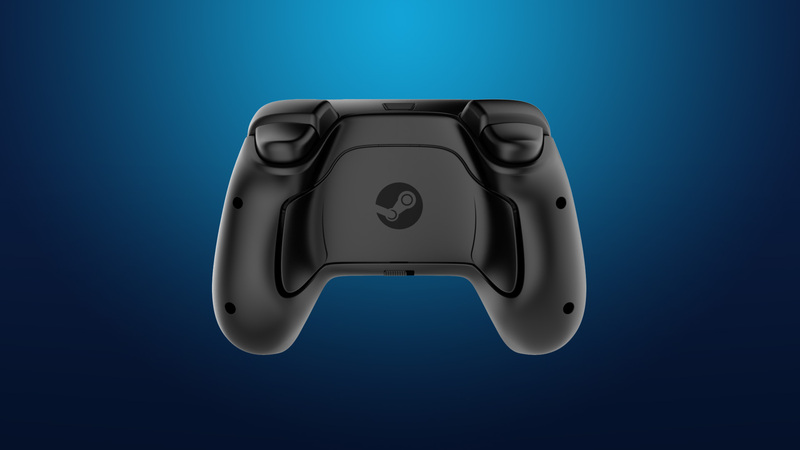 Ergonomic controlEach of the Steam Controller’s input zones and buttons has been positioned based on frequency of use, required precision, and ergonomic comfort.